In Santa Barbara the main emphasis is on Secondary Education. Many villages around Santa Barbara have primary but no Secondary Schools, without which education stops at grade 6. HELP Honduras provides materials to local Rotarians and to the students’ parents who build the schools at a cost of approximately $10,000/classroom. Individual Rotarians and others giving donations through HELP Honduras have provided funding to the Santa Barbara Rotary Club who have supervised the building of four schools (three junior high schools and one elementary school and kindergarten) and provided additional scholarship funds to help another 20 students attend high school or vocational school. These individuals who are building schools visit Santa Barbara every year and coordinate with the Santa Barbara Rotary Club to plan for new projects each year. All schools are constructed on land donated by the respective municipality and with labour donated by members of the community. 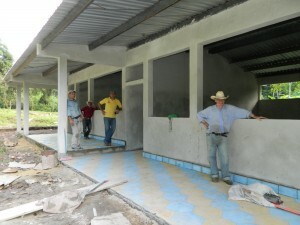 The Santa Barbara Rotarians supervise the construction and prepare a budget and maintain all records and receipts for the supplies purchased. 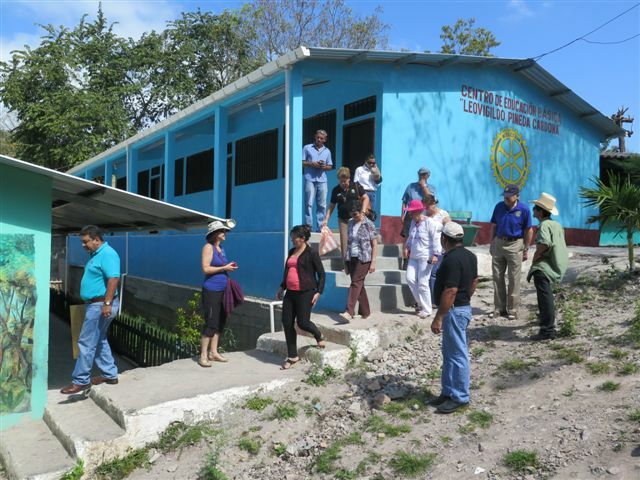 In addition, the Santa Barbara Rotarians coordinate with the Santa Barbara State Education department to ensure that the State will provide teachers to schools that are built. 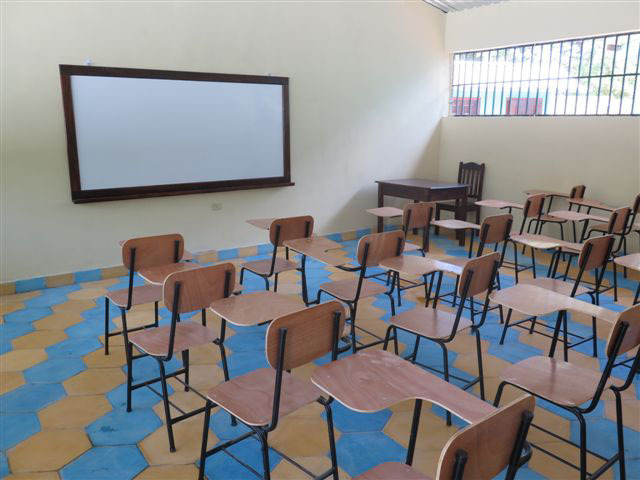 All the schools that have been built are operating and teachers have been provided. The present global grant from The Rotary Foundation (with contributions from Rotary Clubs in Creston, Kimberley, and Cranbrook, BC) is paying the majority of costs of student scholarships, as well as business training for mothers of poor students to improve their skills and obtain microcredit so they can support their children. 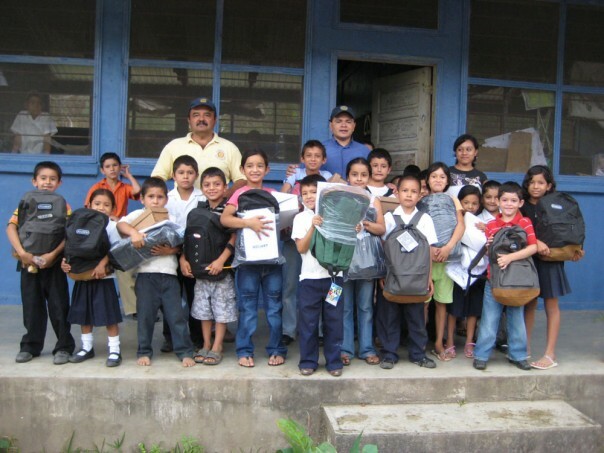 The Rotary Foundation has advised the Santa Barbara Rotary Club that they will approve only one more global grant for training mothers and providing school supplies to students. Our goal is to obtain more sponsors so that, when the Rotary Funding ceases, this effective program of computer education and school supplies and school uniforms for poor children can continue. We have regular sponsors for about 20 high school students at this time and are hoping to increase this to about 120 students over the next few years. Our students all receive computer training and have access to email. Should you choose to sponsor a high school student, our program coordinator in Santa Barbara, Ovan Castellanos, will send you an email twice per year with photos of your student, a copy of their school marks, and a little info about your student. You may be able to write to your student in Spanish if you choose to do so. You may sponsor a secondary, vocational, or university school student online for Santa Barbara and receive a tax deduction. We build schools every year. If you are in a position to make a major donation, please contact us to discuss what type of educational institute you would like to sponsor. As the population of Honduras is very young they are short of schools, vocational training facilities, and medical supplies, and some communities lack clean water, so there are many areas to which you could contribute. All our projects are done in conjunction with the Santa Barbara Rotary Club who have a proven track record with over 30 years of effective administration of projects. The people who have participated in these projects have a great sense of joy at seeing a new school open or receiving updates on their students. So when you give money you will get something for it — a great sense of joy and pride that in your own way you are bringing opportunity to a poor young person who really needs the help. Thank you for donating to our program. Please contact Gwen Telling (gwentelling@gmail.com) or Heather More (heathermmore@gmail.com) for more information. 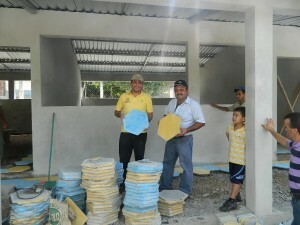 Make a donation to sponsor students or build a school.